We all know that electric drivetrains are going to be a big part of our automotive future. Between concerns about the environmental impact of fossil fuels, the improvements in battery and motor tech, and the proliferation of recharging infrastructure, it’s only a matter of time before electric motors are in virtually every new car, either as a primary or secondary mode of propulsion. Their instantaneous torque and ability to regenerate power through braking has made electric motors even more appealing than ever for performance car makers. 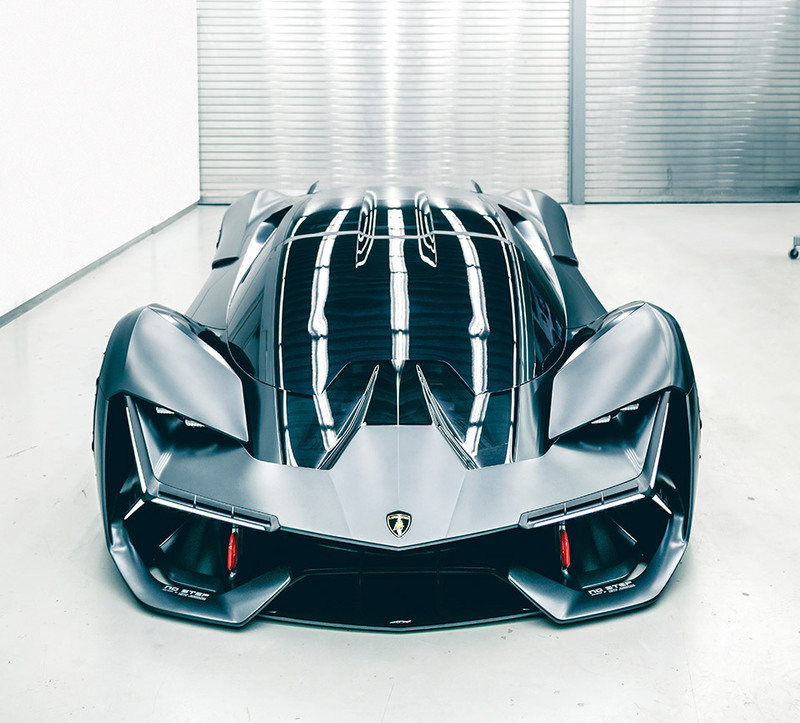 Looking ahead towards the electric future, Automobili Lamborghini and the Massachusetts Institute of Technology collaborated to create the Lamborghini Terzo Millennio, a futuristic concept car which showcases a pure-electric drivetrain, and other innovative technologies. 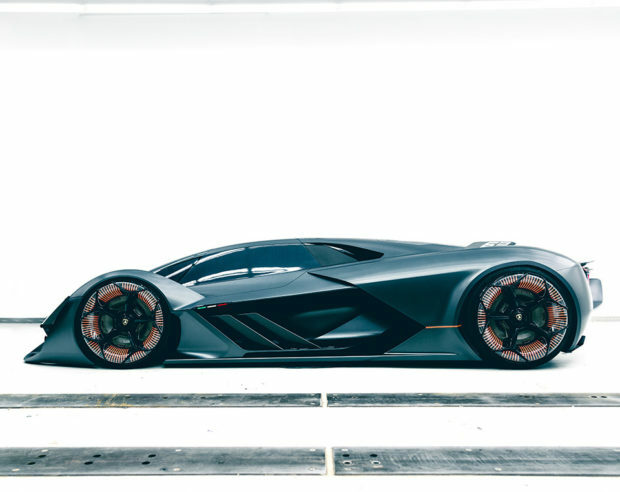 The car is envisioned as a four-wheel drive vehicle, with an individual motor at each of its wheels. 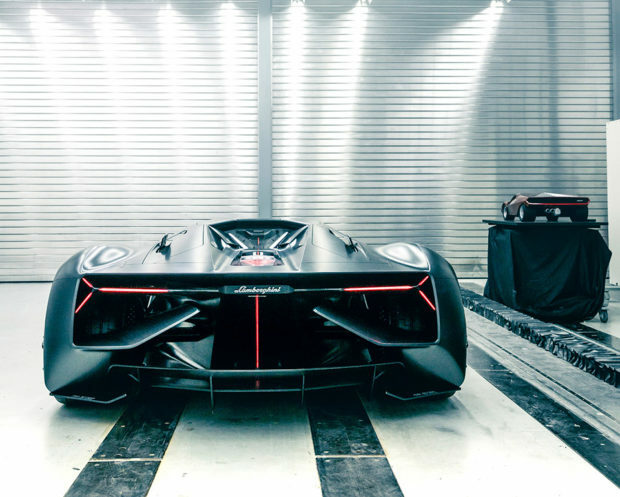 While that alone is nothing new, what is intriguing is their choice to go with supercapacitor technology instead of traditional battery packs. This technology allows for much greater energy density, faster charging, and a long lifecycle. However, supercapacitors generally expel all of their energy very quickly, so it’s not clear what sort of range one might get from the tech being used here. In addition to the futuristic powertrain, the Terzo Millennio would have a highly innovative carbon fiber monocoque structure with electrically-charged nanotechnology throughout, allowing the body to be part of the power storage system. The structure would also incorporate self-healing nanotechnology, which could chemically repair small cracks or other damage which might materialize in the structure in a crash. Not only could this improve safety in a race situation, but allows for the use of lightweight materials in areas which typically need to be made from metal. 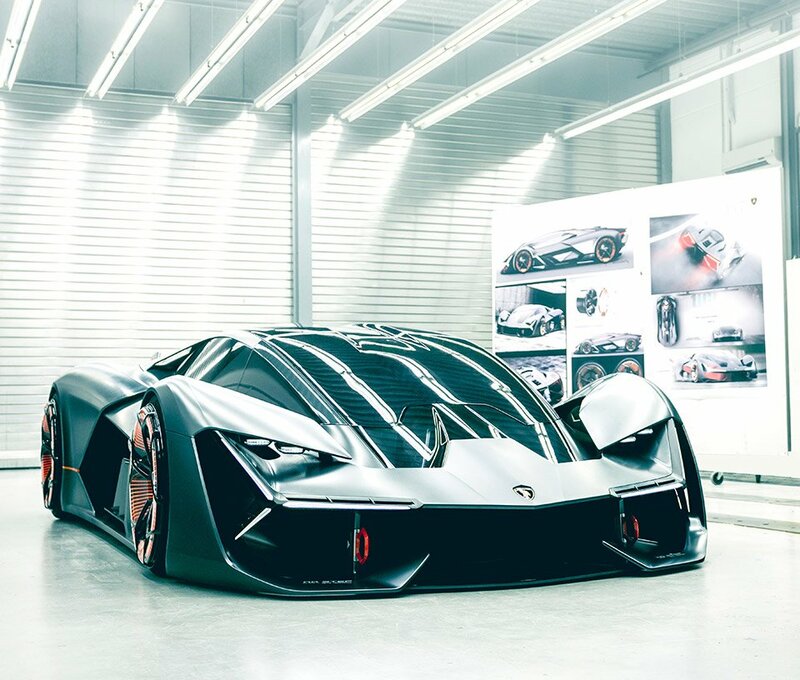 All of this tech is wrapped up in a typically Lambo design package, with a dramatic, angular body, with aerodynamic sculpting in every possible location. 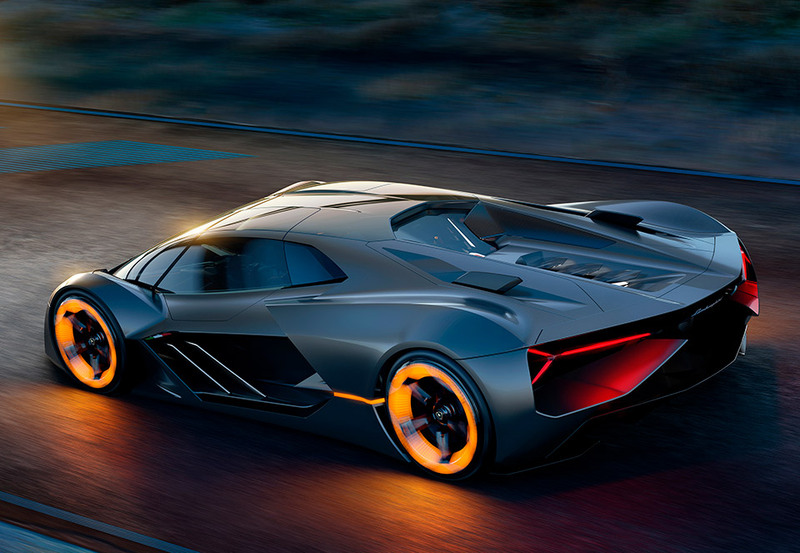 In addition, the car features some pretty insane wheels which glow orange – and remind me more than a little bit of electric stove burners. Needless to say, the Lamborghini Terzo Millennio is simply a concept prototype at this point, and no plans have been announced to produce it at this point. I’m excited to see the application of supercapacitor technology here, as I do think it’s going to have a significant place in solving the speed of recharging electric cars in the not-too-distant future.